If you read the page, it’s incoherent. He attributes things to me with other people’s name attached to them, but if you just read his commentary you’d believe I was head of an Anti LGBT Hate Group! I am just the latest of several women he attacks with total fabrications. But the real problem is he is a hacker who breaks into computers and destroys them. However I am also passionate about certain causes, especially social justice, politics. criminal injustices and civil rights. So I devote my spare time to engaging with others working to that end. Unfortunately I became involved with a tweeter, named Graham Murphy who endeared himself to me when the Trayvon Martin story broke. He tweeted me saying “because my tweets moved him he was going to make a site in Trayvon’s honor” and asked me to assist him it. I was very touched and began emailing with him. Immediately I was inundated with warning from other Tweeters who told me this man (at the time name azliberial) was a dangerous, psychotic transgender person with hacking skills. I was warned he had hacked several people’s computers, regularly posted hate sites against his “enemies” and went as far as tracking people down, trying to get them fired or their children taken away. His avi at the time was a graphic of sunshine , so I never asked him/her about their sexual orientation, since it had nothing to do with what we were doing. I ignored, even defended him against his naysayers at the time because all I knew of was the great work he was doing with Trayvon Martin’s, ALEC & Anti-Rush Sites. But when the warning kept coming with evidence I finally did inquire with Murph as to whether any of the accusations were true, (ie had he hacked people, made hate web sites, tracked down people calling their jobs trying to get them fired and calling children’s services to try to get people’s children taken away,etc) I even joked with him that if he was a real hacker I could use his services because I had a wayward son I really was concerned about. He responded, that all the people warning me were really 1 person “his stalker” & all accusations but one about a reality star on Big Brother, Shelley Moore, were untrue. He admitted he had participated in a hate group about her, “after seeing the error of his ways” he wrote an apology and left it. He painted everyone else in the group as the real hackers and stalkers, etc. Since I don’t watch reality TV I didn’t care. Then something strange happened. I began making friends with certain tweeters, & Graham would insist that I stop speaking with them, because they were his “stalker in disguise”. Also he advertises as a website designer and I inquired about some site ideas I had. He told me he would do one for free, I insisted on paying him, but in the end, he came up with a story that he had been diagnosed w a brain tumor and couldn’t do it. I felt so bad, I told him don’t worry, Two days later, he wrote back it turned out to only be a cyst and now he could do it. I immediately recognized that as bs. You can’t be diagnosed 1st with a brain tumor then it magically turns into a cyst. But I didn’t confront him, just told him get better, I’d find another way. Soon after he was kicked off Twitter claiming it was “big businesses” that had pressured Twitter to kick him off, even though several others were tweeting against ALEC corps, somehow he was singled out!.Knew that was BS too, but didn’t say anything. He came back as LGBTliberal & a bio that said he/she was the “T” in LGBT. Having deep respect for a person’s privacy I didn’t ask at first what that meant. The Trayvon site was gone, but I still helped him with the ALEC & STOPRUSH sites, because those were causes I believed in, even though the psychopath mask was becoming evident, I still didn’t think I had anything to fear He said he didn’t want to be apart of the Trayvon Martin movement anymore because he had problems with the lawyers over his tribute site. I told him I was going forward with my plans to hold a meeting about all the cases, including Anna Brown, Marissa Alexander, etc. He told me it was a waste of time, he also continued to complain about me talking to his “enemies”. Funny things started happening to my computer right before that meeting, and people I work with began accusing me of having let a hacker infiltrate our system. I brushed it off, but was banished right before the meeting from using company software. My “Constructing an Org to Address Racially Biased Killings and Prosecutions” had to be switched at the last minute to a new online meeting site. I sent out invitations & soon after cancellation invitation went out. I did this several times, then figured it must be the site. NOPE I HAD BEEN HACKED WITH A TROJAN/KEY-LOGGER THAT WAS ACCESSING MY COMPUTER, DOING THIS. I didn’t know that for sure until the next week when Graham Murphy, now furious with me over disagreeing with him about Cory Booker, befriending his enemies, etc, Tweeted out a screenshot from a networked computer purporting to me my login and email address but was really a co-worker’s. He also infiltrated emails belonging to me & others, deleting& posting things from different accts. We exchanged nasty emails, which of course he denied being the one, but he forgot he told me he had done this to his “stalker” already. Once the computers were unnetworked and cleaned & he couldn’t access them anymore, he began to blog about me here , except some of the content included other people’s information and out right lies. I was going to ignore it, but it effects other people, plus since I didn’t exchange hard drives like my co workers, he has hacked me again!! He also started a group called “#Grahams Gang” on Twitter this weekend, encouraging people to unfollow me because I am anti_LGBT (apparently if you don’t like Graham, you hate all LGBT), with multiple accts all coming from his IP address, which were shut down within hours. Are u ready to bang your head against a wall? I am! I have most emails/correspondence backed up on USB & was going to post them here to negate what’s on his phony “America hates bullies” site, but 1) I don’t feel like it, in fact I will be hospitalized this week, part of the reason I wanted to defend myself to some degree here, 2) Any1 who reads my twitter feed will know what he has on that site under Tess, (Theresa Powell) is fake or should know it. If anyone wants me to address a specific accusation just leave it in the comments and I’ll pull up the documentation. The Number 1 lie he posted on “America hates Bullies” is that I spammed him with invites to the “Trayvon Constructing an Org….” Meeting. The reality is Graham Murphy was the person who hacked the acct cancelled the meetings, causing me to resend invites, then he turns around and says I was spamming. It looks real, but the only reason I kept rescheduling was because I didn’t know he was the one inside my computer doing the cancelling. This is what psychopaths do. Play innocent sweet victim, reel you in, then try to control u. If control fails, they can’t just walk away, they have to try to destroy you. Lie #2, He accuses me of knowing his gender. His bio said I’m the “T” in LGBT, I did not see the picture he lies was clearly posted on his site, because the Trayvon site didn’t have his pic on it. After we argued he sent me unsolicited pics of him as a white woman and a black man via email? How the hell am I suppose to figure out which side of the T he was on? Now yesterday he was DEMHARD2012 & a bunch of other acct dubbed #grahams gang that got suspended. Who knows who he is today? Just be warned. I will not be destroyed nor I will not keep it to myself. I have worked professional as an advocate, I am in training to become a disability rights advocate, if ADA survives the election and truly despise being painted as anti-LGBT. When I get out of the hospital and get a new computer (Yes Graham, I know u still keylog this one) I will move forward with the Org aimed at Racially Motivated Killings & Prosecutions, supporting Obama 2012 and marriage equality as I always have. It isn’t my site but I co sign and will help spread this message, because this guy is dangerous, you can’t disagree with him w/o incurring his wrath. Hope everyone has a wonderful day and except for specific questions I’m done with Graham Murphy and any of his trolls! Now leave this garbage in the trash. Real work needs to be done! UPDATE: YOU CAN READ THE LAST 4 PARAGRAPHS IF YOU DON’T HAVE TIME FOR THE FULL POST. I’M TRYING TO START AN ORGANIZATION TO ADDRESS THE ISSUES OF RACIALLY MOTIVATED KILLINGS AND PROSECUTIONS THAT WOULD BE AN ON THE SPOT, AT THE READY TEAM TO ASSIST FAMILIES IN THESE SITUATIONS. SO UNLIKE THE BEGGING & APPEALS MR.MARTIN & MS FULTON HAD TO MAKE TO GET EXPOSURE TO BRING THEIR CHILD’S KILLER TO JUSTICE, THERE WOULD BE AN ORGANIZATION DEDICATED TO HELP FAMILIES FACING THESE INJUSTICES IN A COORDINATED WAY. THE ORG WOULD PROVIDE LEGAL GUIDANCE, HELP PUBLICIZING THE EVENT AND PROVIDE FINANCIAL HELP TO THE FAMILIES IMMEDIATELY. THIS IS ESPECIALLY IMPORTANT IN LOWER PROFILE CASES, SUCH AS ANNA BROWN, MARISSA ALEXANDER & JUSTIN PATTERSON WHO DON’T GET WIDESPREAD MEDIA ATTENTION. Yesterday I wrote a long piece on what I feel would be a more effective reaction to decades long record of racially motivated deaths in the USA. (Post Is below). At that time I had not know there was an official Trayvon Martin foundation, because it’s hardly been publicized, and in my opinion doesn’t address the bigger issue of launching a campaign that will stand at the ready to protest, in concert & numbers the repeated deaths and injustices suffered by African American’s in this country. There is a desperate need for an organization devoted to just this cause, and it needs to be a united coalition. I don’t see what purpose the NAACP serves anymore, as they fail the black community in any meaningful way to help end the unjust killings (ie Trayvon Martin) and injustice convictions of Blacks in this county (ie Marissa Alexander). As I stated in the last post still worth a read, but the main points I will reiterate here. Nothing is going to change unless the Black community becomes a serious political force to be reckoned with. It is wonderful to have our bloggers, tweeters, marches and protests, but if we don’t coordinate them into one group, they are little more than nuisances. If we combine all that energy into one group, the power in numbers and economic impact will have 10x the effect, of each separate group doing their own thing. We really need to take a look at the campaigns that rid of Glenn Beck, that are rapidly moving corporations away from the corrupt corporate sponsored group ALEC and the StopRush campaign. Those campaigns, which include boycotts and coordinated led efforts, have had measurably financial and tangible successes. The truth of the campaigns we’ve organized regarding #Oscar Grant, Marissa Alexander, and waning support of Justice for Trayvon Martin, while successful to an extent, have not had the same effect of measurable enough to make this country understand we will no longer tolerate the racially motivated slaughter of our people or convictions. The ineffectiveness in preventing further injustices is evident in the more than 29+ victims that succumbed to racially motivated deaths since Martin’s. I again propose that something is done to address the issue, not one death, or conviction one at a time, but as a whole. Think about it. When we protest , ala Oscar Grant, blogging, marching & protesting in separate scattered campaigns, while definitely having some effect, its nothing compared to 100x effect it would have if we all worked in concert. WE WILL NO LONGER TOLERATE THE UNJUST RACIALLY MOTIVATED EXECUTIONS OF BLACK PEOPLE IN THIS COUNTRY WITHOUT THERE BEING AN ENORMOUS PUBIC BACKLASH. WE WILL LET THIS COUNTRY KNOW, THAT IF CORRUPT POLICE DEPARTMENTS UNJUSTLY KILL A MEMBER OF THE BLACK COMMUNITY OR ALLOW THEM TO BE KILLED BY RACISTS CITIZENS WE WILL NOT BE SILENT OR GRUMBLING HERE AND THERE, BUT THAT TOWN WILL NOT FLOURISH BECAUSE THE BOYCOTTING AND PROTESTS WILL BE SO GREAT, THEY WILL ALSO BE ECONOMICALLY CRIPPLED UNTIL JUSTICE IS SERVED. 1) AN ONLINE MEETING WITHIN THE NEXT WEEK FOR EVERYONE INTERESTED IN GETTING THIS A CAMPAIGN GOING AGAIN ADDRESSING ALL THE RECENT RACIALLY MOTIVATED MURDERS AND CONVICTIONS AND COORDINATED PLANS TO PUBLICIZE THEM IN ONE PLACE. All interested bloggers, tweeter,citizens etc could pool & vote on the best ideas to proceed to out line the steps it will take. WE COULD BRING ALL IDEAS TO THE TABLE AND PLAN THE MOST EFFECTIVE WAY TO IMPLEMENT THEM. Get an official website, where all information and updates on cases of this nature and plans to assist will be outlined. 3) REVIVE THE TWITTER/FACEBOOK CAMPAIGN AND BOYCOTTS OF ANYTHING ASSOCIATED WITH TOWNS, CORPORATIONS, THAT SUPPORT GROUPS ENCOURAGING THIS ACTIONS like the NRA & any business associated with ALEC which help write the legislation that let the police think it was ok to set Zimmerman free that night. (Whether you support the Stand Your Own Ground Law is irrelevant, we can keep the law but need to get rid of the racist way it is implemented ie Marissa Alexander case). These are my humble suggestions to start an organization to end the senseless racial killings and conviction of the African American community. If you are interested in making this happen please leave a comment (including a time u could make a 30 min online meeting would help) or email me. No effort is too small. We can bring this to an end! It will be one month tomorrow , George Zimmerman was arrested on April 11, 2012, for the fatal shooting of 17-year-old Trayvon Martin on February 26, 2012. It took an unbelievable 2 months for the state of Florida to just arrest Martin’s killer. The injustice of allowing Zimmerman to keep his freedom in the face of so much probable cause makes no sense, even under the Stand Your Ground Law rules. Even worse it wasn’t the police department or prosecutor’s office reversing their lapse in judgement that brought about the arrest. It wasn’t just Sybrina Fulton & Tracy Martin, Trayvon’s parents pleas to the State of Florida to investigate their son’s death further. It was most certainly the public outcry from all over the world (like you and I) that finally 2 months later, got Florida & the US Department of Justice involved just to get Zimmerman arrested and possibly be brought to trial. Without Ms Fulton and Mr. Martin’s determination to publicize Travyon’s death and the millions who signed the petition, blogged, tweeted, marched and protested almost everyday, Zimmerman would be a free man. There were so many people involved in the legal system either trying to cover up or paint Zimmerman as an upstanding citizen, had we not gotten involved, we wouldn’t even know Trayvon’s name today. An arrest however is merely the start. There are many steps prior to trial that could free Zimmerman or interfere with the state’s ability to prosecute him effectively. The pre-trial period is full of all types of legal proceedings,( like the bail hearing)- there will be motions to determine what is and what is not admissible, motions for dismissal, etc where inevitably some information about the case will be leaked. 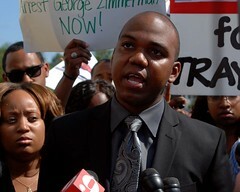 What’s is worse during this period there’s even more time for the Zimmerman family, attorneys camp to muddle the facts in the press and smear Trayvon’s reputation in an attempt to taint the jury pool that will actually hear the case. Zimmerman, having a father thats a retired judge, guarantees every legal and public maneuver that can be done to get his son out of this, will occur. The web site set up to put his version of events out there and donations for his defense is going to buy him a dream team beyond lawyers but also publicist that will have Zimmerman looking like the victim before it’s over with. And that’s only the beginning. Now that the money is pouring in, get ready to see even more Zimmerman defenders like “Uncle” Joe Oliver singing Zimmerman’s praises. For this reason, I truly believe it is imperative that all of us that lent our support to help get the arrest, regroup and revive the campaign to ensure justice for Trayvon. Now more than ever the campaign for Justice for Trayvon needs to move forward, keeping his name, the corruption of the investigation and his life & unjustifiable death in the media & minds of the American people to counter those tactics which will taint potential jurors. We need a coordinated effort (ie lead by someone or some groups we can join) to ensure that Trayvon and many victims prior and since get justice. I know there are still bloggers writing, still tweets and public figures like Charles Blow, Rev. Al Sharpton, Goldie Taylor championing the cause, extremely necessary and commendable. But since the arrest the general public outcry for Martin has waned, while support for Zimmerman has sored, especially monetarily. We need to get an official website for Trayvon where all his information & case updates can be accessed. We need our bloggers to unite in distributing their information and the Twitter campaign must be revived to the levels of the initial outrage. WE WILL NO LONGER TOLERATE THE EXECUTIONS OF BLACK PEOPLE IN THIS COUNTRY WITHOUT THERE BEING AN ENORMOUS PUBIC BACKLASH. WE WILL LET THIS COUNTRY KNOW, THAT IF CORRUPT POLICE DEPARTMENTS UNJUSTLY KILL A MEMBER OF THE BLACK COMMUNITY OR ALLOW THEM TO BE KILLED BY RACISTS CITIZENS WE WILL NOT BE SILENT AND THAT TOWN WILL NOT FLOURISH BECAUSE THE BOYCOTTING AND PROTESTS WILL BE SO GREAT, THEY WILL ALSO BE ECONOMICALLY CRIPPLED UNTIL JUSTICE IS SERVED. No town no matter how racist, wants that. It will make police departments think twice about letting incidents not only like Trayvon’s, but the many others happen again. Right now, they don’t really fear us, because they expect the same ole thing, we’ll hoop and holla for while, but then go silent. Please let’s not let this happen again. The prosecutor and the state won’t be allowed to publicly champion justice for Trayvon outside of the courtroom setting, but believe me the Zimmerman camp will through media appearances and the web site. The state, usually the ones in the driver’s seat when it comes to prosecutions will not have the resources to counter these kinds of tactics. Now that the money is pouring in get ready to see even more Zimmerman defenders like “Uncle” Joe Oliver singing Zimmerman’s praises. 1) AN ONLINE MEETING WITHIN THE NEXT WEEK FOR EVERYONE INTERESTED IN GETTING THIS CAMPAIGN GOING AGAIN. WE COULD BRING ALL IDEAS TO THE TABLE AND PLAN THE MOST EFFECTIVE WAY TO IMPLEMENT THEM. Get Trayvon an official website, where all his information and updates can be accessed, along with other cases of this nature (ie Anna Brown, Marrisa Alexander, etc) Then or before we could bring these plans to the family & attorney’s for approval. 2) A FUND FOR THE MARTIN FAMILY- Even though they have attorneys those attorneys CAN NOT REPRESENT THEM AT TRIAL, ONLY THE STATE CAN PROSECUTE ZIMMERMAN. The lawyers now can only help the family navigate the press and assist the family in making sure the state prosecutor is doing everything possible. I know if I had just lost one of my children, I could barely make it to work. I believe it would appropriate to donate to the Martin family not only for legal expenses, burial reimbursement but living expenses as well as I am sure they have had to take off numerous days from work. 3) Revive the Twitter campaign and boycott anything that supports Zimmerman’s defense, like the NRA & any business associated with ALEC which help write the legislation that let the police think it was ok t set Zimmerman free that night. (Whether you support the Stand Your Own Ground Law is irrelevant, we can keep the law but need to get rid of the racist way it is implemented ie Marissa Alexander case). These are my humble suggestions for our community. If you are interested please leave a comment, spread the word and let’s see what we can do with our combined commitment. It’s not only for Trayvon but all victims racially motivated killing dating back to Emmett Till and to possible finally break this cycle. This story is appalling because it’s a five year old. It’s appalling because Moses also shot a 28 year old woman, suspecting she would go to the police. It’s appalling because the child’s mother and Moses’ brother and sister also appear to be accessories. The facts are horrifying. The implications are much worse. All the participants were members of a religious sect known as the Black Hebrews. They believe they are direct descendants of the ancient tribes of Israel. Their beliefs are based on the Bible. 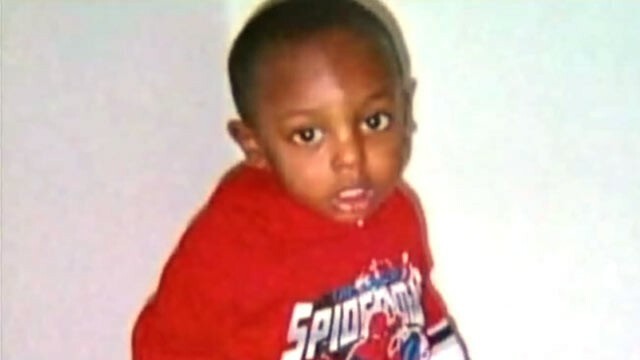 The Murder Of Mr. Justin Patterson, Who Was 22 And Black. The Murder Of Mr. Justin Patterson, Who Was 22 And Black.. The TeaTardedRepubliCANT War On Women.